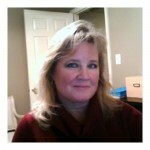 I am an ADHD Coach, specializing in working with adults with ADHD & parents of children with ADHD. I am a graduate of the ADD Coach Academy, the most comprehensive ADHD Coach training program, worldwide. I am also a CHADD volunteer and certified teacher for the CHADD program, Parent to Parent: Family Training on AD/HD. I also run a local support group for adults with ADHD and parents of children with ADHD. I always joke that my life is like the ADD Channel, “All ADD, all the time!” But I wouldn’t have it any other way.